The shift to autonomous vehicles, an expensive and technically challenging endeavor, is causing automakers and suppliers to transform their product lines and workforce with no guarantee of future profits. The Rivian R1T all-electric pickup was born in Plymouth Township and uveiled at the 2018 Los Angeles Auto Show. It boasts a range of 400 miles and is scheduled to go on sale in the next two years. Barring a last-minute reprieve, production will soon cease at the GM Detroit-Hamtramck Assembly Plant. The complex, a showcase of advanced manufacturing systems, was expected to have a longer lifecycle than the next few months. Occupying an older Polish neighborhood and the former site of the Dodge Main plant, the facility opened in 1985 following a long court fight. Obtained through means of eminent domain laws, since reformed, and good old-fashioned political willpower, the land battle is still a sore spot in the surrounding neighborhoods and beyond. To the extent those early events foreshadowed the turmoil of today, it’s clear the limited supply of industrial space in the region portends repurposing the space to other potential OEMs and suppliers. In a bit of irony on the factory floor, one of GM’s most promising futuristic models, the Chevrolet Volt, isn’t being tapped for the next generation of mobility. The plug-in hybrid and the other models now being assembled there have slipped steadily downward on U.S. sales charts, caught in one of the most dramatic shifts the auto industry has undergone in decades. The Volt is one of six passenger car models that GM will drop by 2020 (the list ranges from the compact Chevrolet Cruze to the sleek Cadillac CT6), which is all part of a dramatic switch from sedans, coupes, and hatchbacks to SUVs, crossovers, and pickups. As recently as 2008, passenger car models made up 51.7 percent of all U.S. new vehicle sales. As 2018 was drawing to a close, the production output had fallen to 30.5 percent, according to data from IHS Markit in Southfield. Automotive data firms also saw light trucks growing from 48.3 percent to 69.5 percent over the same period, a growth rate that’s expected to continue. 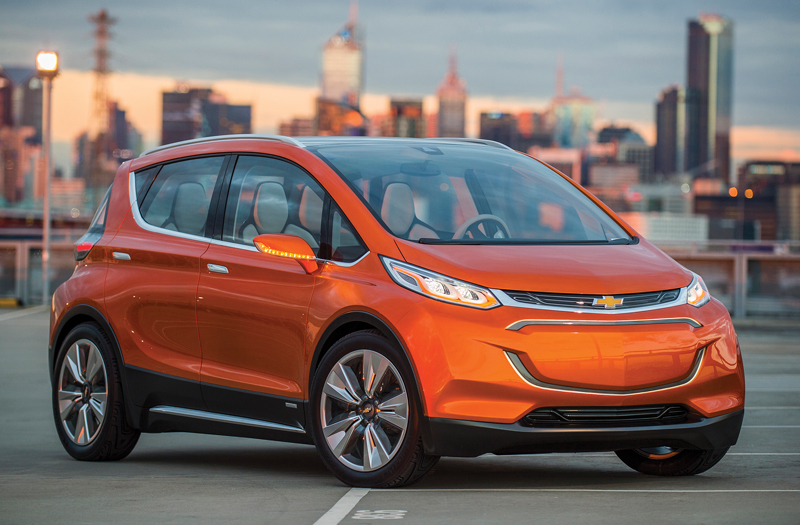 While the Chevrolet Volt plug-in hybrid isn’t in GM’s future plans, all-electric models, like the 2019 Bolt EV (above) is available for a MSRP of $36,620. The battery range is 238 miles. All told, GM will shutter three assembly plants producing the slow-selling car models, including a factory near Cleveland, one in Baltimore, and another outside Toronto. And the biggest of the Detroit automakers isn’t alone. Fiat Chrysler has dropped virtually all of its North American passenger car models and Ford is going even further, abandoning its entire lineup, save for the familiar Mustang “pony car.” Even Toyota is looking at the possibility of trimming its passenger car lineup as it adds new light truck models. The explosive growth of SUVs and crossovers is only one reason why automakers are rethinking their business strategies. “Pretty much everything about the auto industry is in the midst of change,” says David Cole, director emeritus of the Center for Automotive Research in Ann Arbor. Complicating matters is the pace of that transformation. Mary Barra, CEO and chairman of General Motors, is fond of saying that “there will be more changes in the next five years than there have been in the last 50.” Indeed, it’s hard to find anything about the car business that isn’t changing, from the way vehicles are designed, engineered, and manufactured to the way they are marketed and sold. Even the most basic components, like tires, seats, and mirrors, are being impacted. 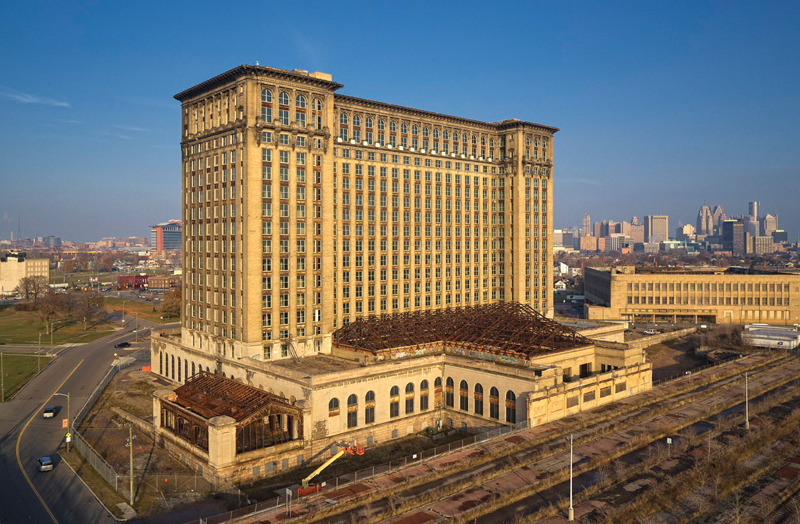 Ford Motor Co. is all in with autonomous vehicles and is putting $740 million into the Michigan Central Depot in Detroit’s Corktown district, transforming it into the automaker’s development hub for driverless transportation in 2022. Ford put its efforts into gear with the $1 billion purchase of Pittsburgh’s Argo AI, and has now committed to spending $4 billion on autonomous vehicle development by 2023. But it’s far from unique. General Motors is pumping billions into its own self-driving effort, including the similarly priced purchase of Cruise Automation (now called GM Cruise). We’re already beginning to see the first vehicles with semiautonomous capabilities. Cars like the Cadillac CT6 and Tesla Model S have auto pilot systems for certain stretches of roadways. Tesla has broadly hinted it could take the next big step, allowing full self-driving capabilities in the months ahead, and manufacturers such as Nissan, Toyota, BMW, Volkswagen, and Mercedes-Benz aren’t far behind. Then there are the outside challengers such as Google spin-off Waymo, and ride-sharing leaders Uber and Lyft. 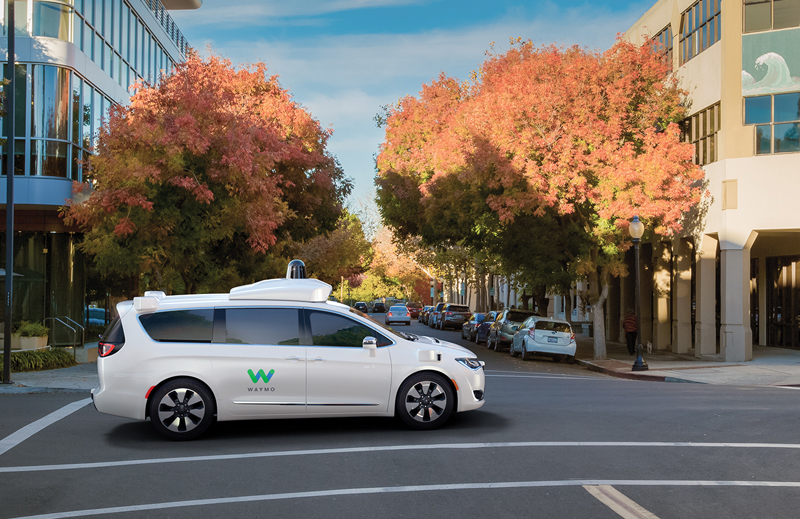 Waymo has been officially running a driverless, commercial ride-sharing service using specially equipped Chrysler Pacificas in the Phoenix area since Dec. 5. Autonomous proponents like Mark Rosekind, the Obama administration’s head of the National Highway Traffic Safety Administration, contend self-driving vehicles will yield significant benefits, among other things radically improving traffic safety while reducing highway congestion. There’s also a financial payoff that could dramatically reshape the transportation world like nothing since the introduction of mass production. The biggest cost for a ride-sharing service is the human behind the wheel. Uber co-founder and former CEO Travis Kalanick predicted that by removing the driver, costs would plummet to the point where it would be cheaper to hail a ride than own a personal vehicle. Consider it costs about $1.22 per mile to operate a mobile taxi service in major metro areas, according to the Boston Consulting Group; by 2030, the research firm figures that would fall to just $0.51 per mile for a driverless ride-sharing service using battery-powered autonomous vehicles. “The economics are so compelling” that nearly a third of the miles Americans clock on the road by 2030 will be in driverless ride-sharing vehicles operated by the likes of Uber, Lyft, Waymo, or GM’s Maven, forecasts Justin Rose, one of the authors of the study. The Chrysler Pacifica Hybrid (right) is already completely autonomous. The entire transportation industry could be impacted. Toronto-based Aprilli Design Studio recently unveiled the ATS concept. Short for Autonomous Travel Suite, it would be a traveling hotel room containing not only a sleeping area but a bathroom, workspace, and small kitchen. Insiders say it’s an idea GM is exploring and could provide a viable alternative to mid- to long-distance air and rail travel. The BCG study anticipates most fully driverless vehicles will rely on some form of electrified propulsion. Despite a slow start in sales, retail sales for electric vehicles are gaining traction, as range goes up, costs come down, and a reliable, high-speed charging infrastructure falls into place. After initially rejecting the technology, industry leaders are becoming increasingly bullish. Barra suggests GM will eventually shift entirely to electric propulsion, although she’s yet to lay out a timeline. Herbert Diess, CEO of Volkswagen Group, goes a step further, predicting the German carmaker will all but completely stop building gas and diesel-powered vehicles a decade from now. There are some real risks for the industry, however, especially traditional automakers like Ford, GM, VW, and Toyota. The cost of developing autonomous and electrified vehicle technologies is enormous, and by various estimates it’s likely to cost the industry upward of $100 billion — some say closer to $200 billion — by 2025 alone. The shift from cars to light trucks wasn’t the only reason GM is dropping six sedans, several high-level sources have revealed. The automaker needs to free up capital to help fund these new ventures. It has also opened the door to working with erstwhile competitors. Earlier in 2018, GM inked an alliance with Honda, as the Japanese automaker agreed to commit $2.5 billion in a joint venture aimed at bringing self-driving vehicles to production — including a $750 million stake in GM Cruise. Honda had previously allied itself with GM on the development of hydrogen fuel-cell technology. Actually, alliances are becoming the norm, rather than the exception. Ford is lining up what’s expected to be a massive deal with VW that could include everything from the joint development of commercial vehicles to the sourcing and production of electric and autonomous vehicles. Complicating matters, traditional automakers face the threat of new — and often well-funded — competitors like Tesla. Closer to the Motor City, there’s Rivian, a startup based in Plymouth Township. At the 2018 Los Angeles Auto Show, the company unveiled what it hopes will become its first two production models, the all-electric R1S sport-utility vehicle and the R1T pickup. 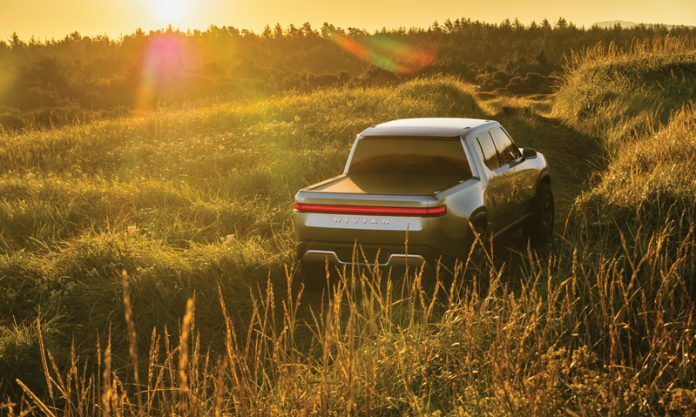 Both promise range of as much as 400 miles, cargo and towing capacities rivaling comparable gas-powered models, and sports car-like performance — going from zero to 60 in less than four seconds. Those startups face an uphill battle. And the fatality rate is enormous. California’s Faraday Future was, at press time, laying off nearly its entire workforce without having built a single EV. Even Tesla’s future is far from assured. But newcomers have potentially significant advantages: the ability to start with clean sheets of paper when it comes to everything from vehicle design to manufacturing processes. Besides that, they don’t have the legacy costs that saddle long-lived manufacturers. Tesla has become the darling of the environmental set, and also has earned the sort of stock price multiples that conventional automakers can only dream of. It has also torn up the traditional approach to retailing; the company only operates factory-owned stores, and many of those are in shopping malls and other nontraditional locations. The Tesla Model S (above) boasts semiautonomous capabilities and the California-based company hints it could go full driverless in a few months. Strict state franchise laws make it difficult for established automakers to follow Tesla’s lead. Those regulations have also limited the ability to market new vehicles on the internet the way Amazon and others sell virtually all other consumer goods. That said, there are plenty of changes taking place on the marketing and retail side. Car buyers now can do their research and complete the actual buying process online. For millennials and generations to follow, kicking the tires at a showroom could become a thing of the past. Indeed, several brands — including Hyundai spin-off Genesis — will now deliver a car to your home or office for a test drive and, depending on local laws, the purchase documents could be signed on the spot. Even the concept of “buying” a car could become a thing of the past. Millions of motorists already lease, rather than purchase, their vehicles — a process that can sharply reduce monthly payments. And now, a number of companies are letting people “subscribe” to a vehicle. The new Care by Volvo program allows a shopper to choose a vehicle, option it out, and then line up a fixed monthly price, including everything from the vehicle itself to taxes, fees, and insurance. Porsche and Mercedes-Benz go a step further. Their subscription programs allow a customer to swap between a number of different models, perhaps opting for a sedan during the week and then switching to an SUV over the weekend for a family outing. What’s clear is that the automotive revolution will touch the auto industry and its customers in countless ways, much of that due to the fact that today’s cars have become rolling computers. For example, BMW’s seventh-generation 3-Series introduces a new, Alexa-like personal assistant that can pick your favorite music with a verbal command. It even can adjust the climate setting and play some pulse-pounding music when it senses you’re getting tired. Even the most mundane vehicle components may never again be the same. Cameras and video screens have begun to supplement, and eventually will replace, conventional mirrors. The revolution could soon touch your car’s tires, as well. Embedded sensors already provide an alert when the pressure is low, and manufacturers are looking at ways a tire can measure road conditions and not only advise the driver, but change shape to maintain traction. In the years ahead, virtually everything about the automobile and the auto industry can be expected to change. There will likely only be one constant: Cars, in whatever form they will take, will undoubtedly remain the method of choice for Americans to travel from Point A to Point B. By the start of 2020, things will look dramatically different at showrooms around the country — at least those that sell vehicles from the Big Three automakers. In November, General Motors Co. announced it will drop six passenger car models. Ford Motor Co., meanwhile, is phasing out all passenger car models, save for the venerable Mustang. And Fiat Chrysler has trimmed its North American model mix to a pair of Canadian-made muscle cars. As popular as SUVs are, Honda has no plans to stop making passenger cars. The strategy reflects the dramatic shift from passenger cars to the light trucks now making up over two-thirds of American new vehicle sales. It also reflects the fact that trucks like the Chevrolet Traverse, Ford F-150, and Jeep Grand Cherokee deliver the vast majority of Detroit’s profits. But is the strategy a sound one, long-term? There are plenty of skeptics who fear domestic automakers are ceding a critical segment of the market to their import rivals, and it’s something that could come back to bite them. While Asian and European automakers are also adjusting their model mixes to reflect the light truck boom, “We’re still bullish on sedans,” says Dietmar Exler, CEO of Mercedes-Benz USA. Mercedes isn’t alone. At the 2018 Los Angeles Auto Show, foreign automakers revealed nearly as many new sedans, coupes, and sports cars as SUVs and crossovers. The mix included products as diverse as the Mazda3 hatchback, the midsize Nissan Maxima sedan, and the Mercedes-AMG GT Pro sports car. Colin Thomas, senior analyst of strategic insights and analytics for the online advertising firm Jumpstart, warns that the auto industry often has seen explosive growth in new market segments, only to watch them eventually fade away. A past example was the surge in demand for minivans in the 1980s and 1990s. Today, those soccer-mom-mobiles represent a minor market segment. 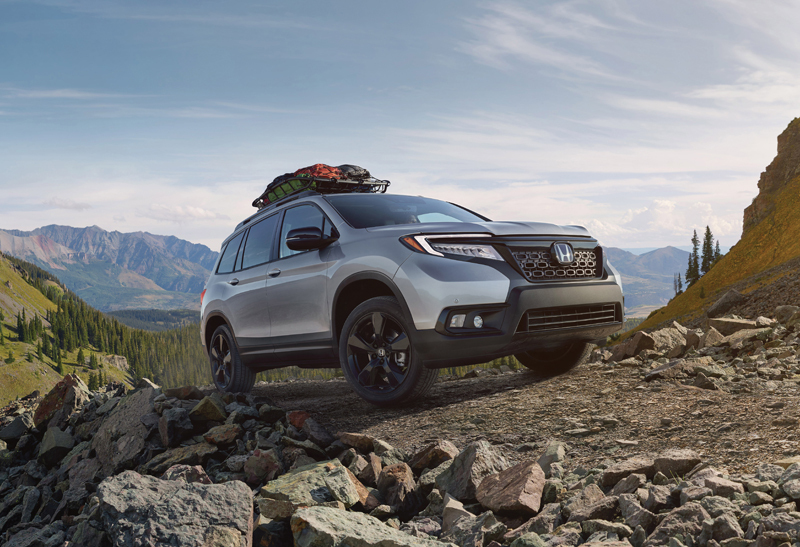 Whether that will happen with SUVs is a matter of fierce debate, although many industry leaders believe the current shift marks a trend, rather than a fad. One determining factor could be fuel prices, but the latest large vehicles offer more efficient engines than older, truck-based SUVs, and that will become even less of a factor as automakers shift to battery-based drivetrain technology. If there is a shift back, it may be too late for Detroit’s automakers, says Stephanie Brinley, principal auto analyst at IHS Markit in Southfield. Ceding the sedan market to the imports today would make it difficult, perhaps even impossible, she says, for the domestic brands to regain a foothold in the future.